Haralambos Saridis was all in preflop holding [As][Qs] and was up against Jason Calnan's pocket nines. 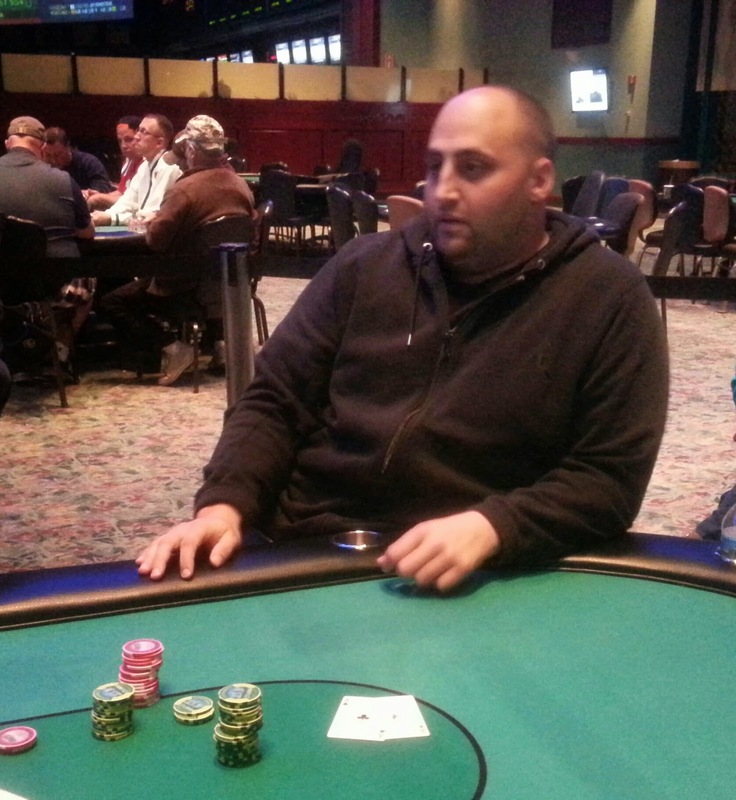 Haralambos flopped a queen to take the lead, but Jason turned a nine to make a set. Haralambos will be eliminated in 3rd place, good for $25,000. On a [4c][5c][2d] flop, Jason Calnan check raised Haralambos Saridis's bet. Haralambos called to see the [9s] hit the turn. Jason moved all in and Haralambos went deep into the tank. He eventually folded, and Jason claimed he had [Ac][3c]. 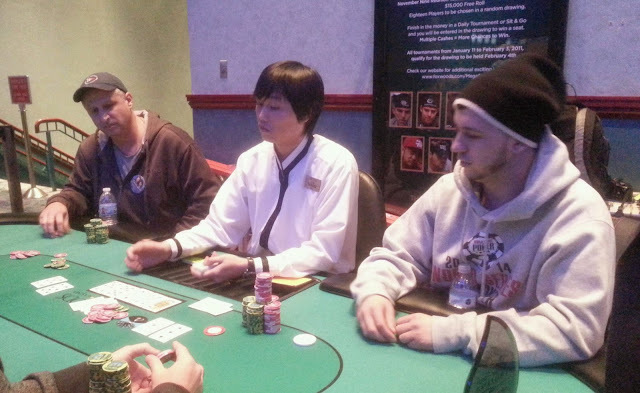 Jason increases his chip lead with that pot, now sitting on almost 3.7 million in chips. Ralph Macri raised before Marsel Backa moved all in. Ralph called, barely covering Marsel. Ralph had the best hand with pocket sevens against Marsel's ace trey. Marsel flopped a gutshot, but he could not hit it or an ace to make the best hand. He will collect $20,474 for his 4th place finish. Marsel Backa opened the pot before Jason Calnan 3-bet. Action folded back to Marsel who moved all in. Jason snap-called and showed two aces, and Marsel revealed the A-J. The 5-3-2 flop brought some chop outs, and the jack on the tuen gave Marsel a chance at a win. But the river paired the five to keep the pocket aces in front. 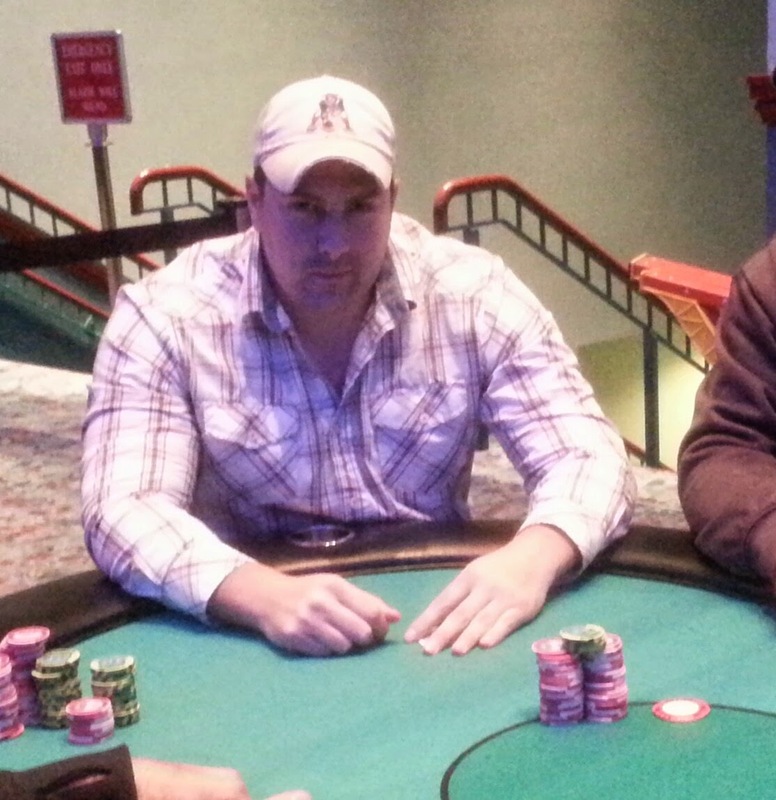 Jason takes over the chip lead with over 3 million. With the elimination of our 11th place finisher, Event #2 $230 NLH Bounty is down to the final table. 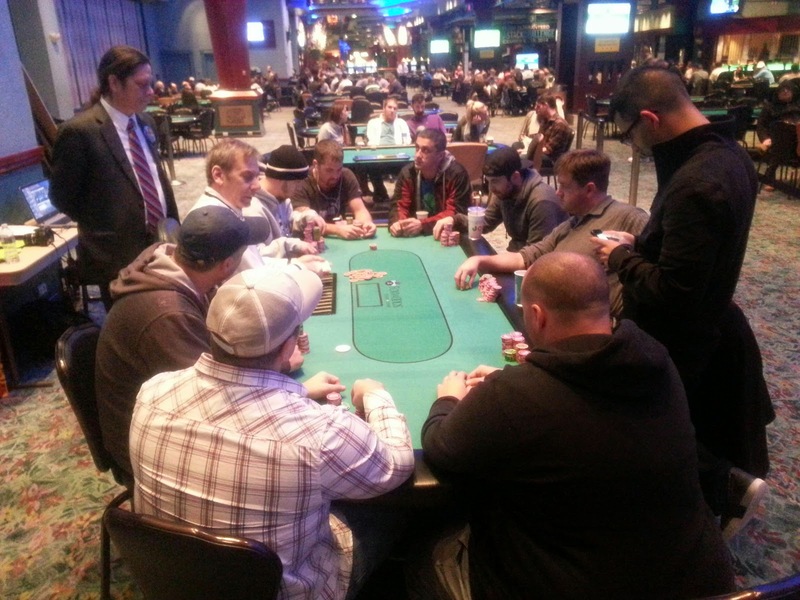 The remaining 10 players are now redrawing for seats and will resume ppay shortly. Four players saw a [5s][3h][Kh] flop and only Alex Cukar called Marsel Backa's bet. When the [Ac] hit the turn, Alex moved all in. Marsel jumped out of his chair and said he can't fold. He was true to his word, eventually calling off with [Ah][8h], and he had a lot of outs against Marsel's [5c][3c]. The river was the [5h], and Alex celebrated his rivered flush before Marsel pointed out that he had made a full house. Dejectedly, Alex headed to the cage to collect his $10,931 for 5th place. 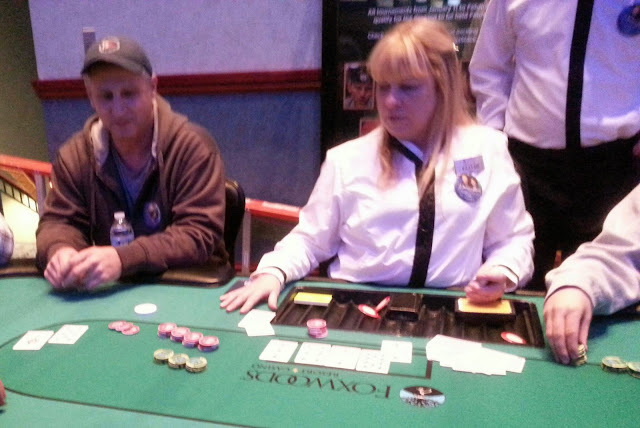 Ralph Macri opened the button and Marsel Backa moved all in. Ralph made the quick call holding [Ad][Kd] and was dominating Marsel's [Ah][Td]. The 7-7-5 flop gave Marsel a glimmer of hope, and he begged for a chop. The turn was a blank, but the river delivered a five to make it a chop pot. After chopping in a similar spot earlier, Ralph admitted he deserved the partial suckout this time. Matthew DiPaoli moved all in from the small blind and was called by Ralph Macri in the big blind. Matthew had live cards with his jack eight vs. Ralph's ace trey. Matthew hit his jack on the flop, but an ace came to give Ralph the winning hand. Matthew will collect $8,849 for his 6th place finish here today. At 20k/40k, Marcel Backa opened to 100k before Tarun G. moved all in with [Qc][Tc]. Marcel made the call with ace queen, and a queen high board kept him in front. 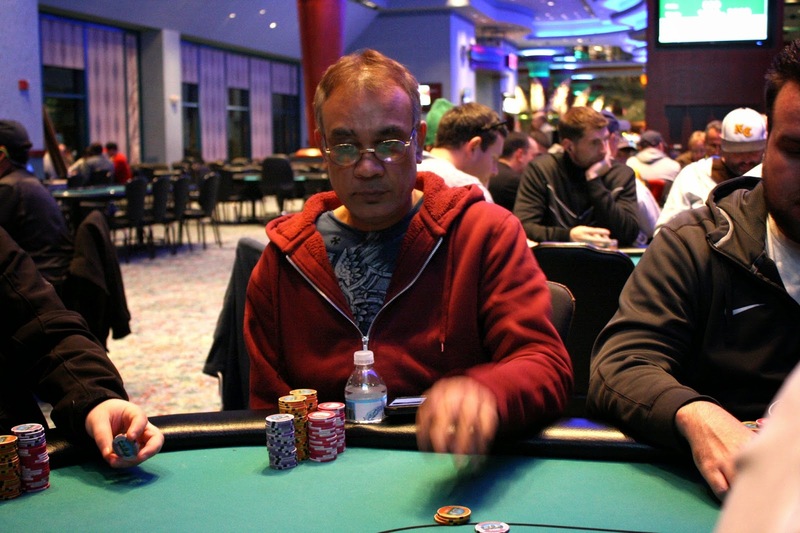 Tarun will be eliminated in 7th place, good for $7,080. On the button, Ralph Macri moved all in. Marsel Backa called from the small blind, and it was deja vu as Ralph held [As][8s] against his opponent's ace ten. There would be no chop this time, however, as Ralph flopped a flush draw and promptly turned his flush to earn the double up. Ralph now sits on over 800,000. 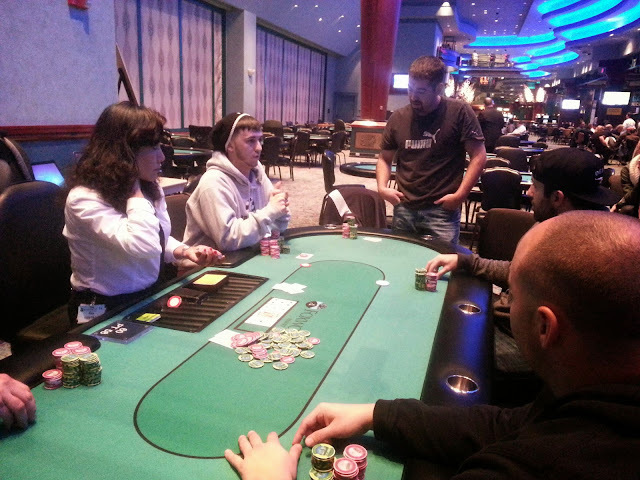 Matthew DiPaoli moved all in preflop with king queen and was called by Alex Cukar holding pocket deuces. Alex flopped a deuce, but the Matthew runner-runnered a flush with the [Kh] to double up and survive. He now sits on approximately 675,000. Ralph Macri moved all in from the cutoff and was called by Anastasio Mallous in the big blind. Ralph was in trouble with his ace eight against ace ten, but the Q-4-3-4-Q gave Ralph a reprieve as he rivered a chop pot to survive. Event #2 $230 NLH Bounty is down to the final 2 tables. The remaining 18 players are redrawing for seats, and play will resume at 3,000/6,000 blinds with a 1,000 ante. Anastasio Mallous has been eliminated when his pocket eights ran into Haralambos Saridis' s pocket tens. 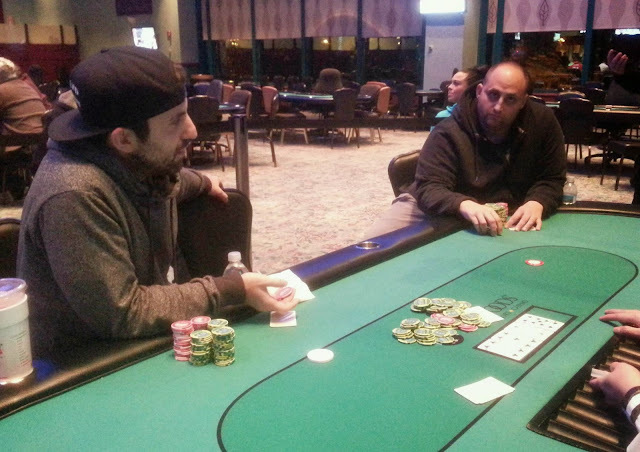 By the river, Haralambos had made a flush to send Anastasio to the rail in 8th place. He will earn $5,517 for his efforts. Alex Cukar opened the pot before Haralambos Saridis moved allin. Michael Lowe moved in all over the top and Alex got out of the way. Michael was in good shape to send Haralambos home as his pocket queens were in front of Haralambos' s [Ad][Td]. 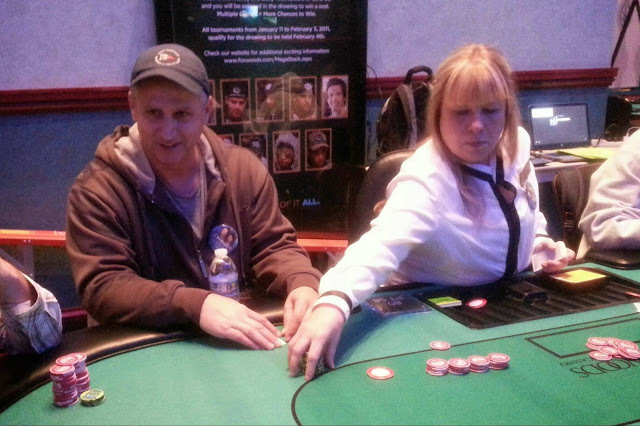 An ace on the flop changed everything, and Michael had to ship over a huge part of his stack. On the very next hand, Michael found himself all in on a Q-8-5-Q board holding ten eight and was drawing dead against Jason Calnan's queen five. Michael will be eliminated in 9th place, good for $4,279. With the completion of Level 25, the final 9 players in Event #1 $600 NLH are now on their 1 hour dinner break. Play will resume at approximately 7:55pm EST at 15,000/30,000 blinds with a 5,000 ante. Haralambos Saridis opened the action under the gun to 60k at 12k/24k blinds. Action folded to Ralph Macri who moved all in. The remaining players folded and Haralambos eventually let it go after a long tank. After his fold, Ralph showed ace king, and Haralambos claimed he folded ace queen. 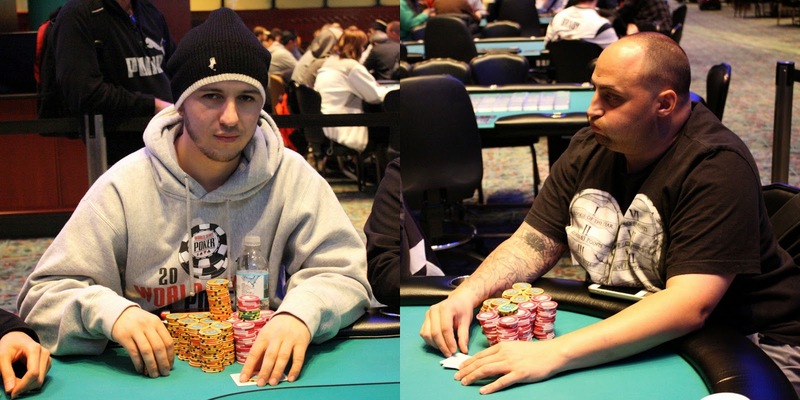 Marsel Backa claimed he folded ace jack, and Tarun G. claimed he also folded ace queen. "We're all wizards," proclaimed Tarun. As the final table plays on, a crowd has gathered to watch the action. 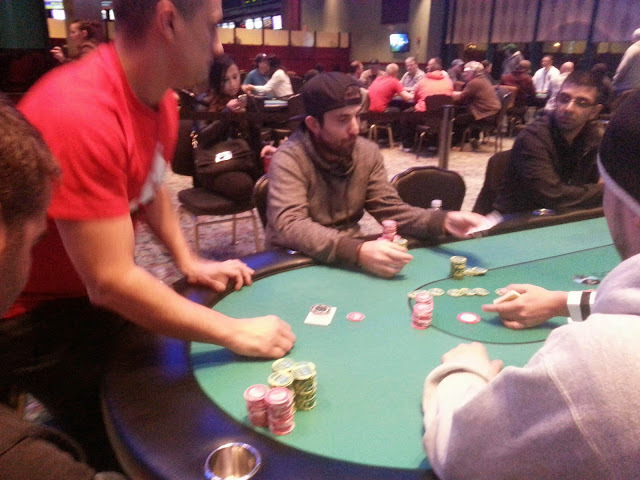 Colby Lawler moved all in and was called by Jason Calnan. Colby would need some help as his king ten was dominated by Jason's ace king. An ace high flop left Colby drawing slim, and no runner runner materialized. Colby will collect $3,227 for his 10th place finish. 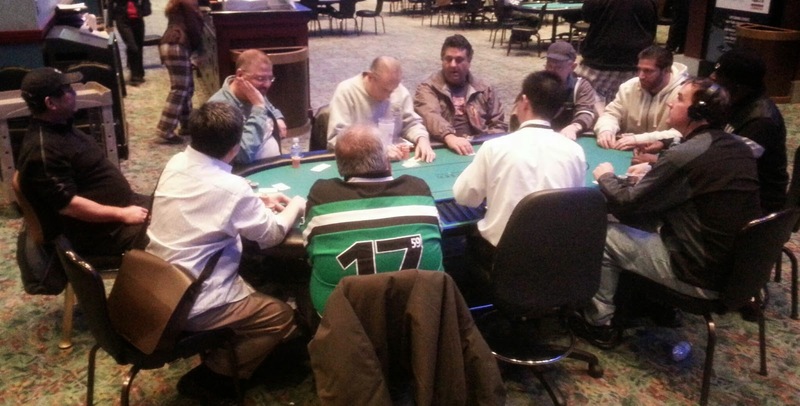 After reaching the final table, the final 10 players took a brief break. After more than the allotted time, play resumed with one full level to play until dinner break. 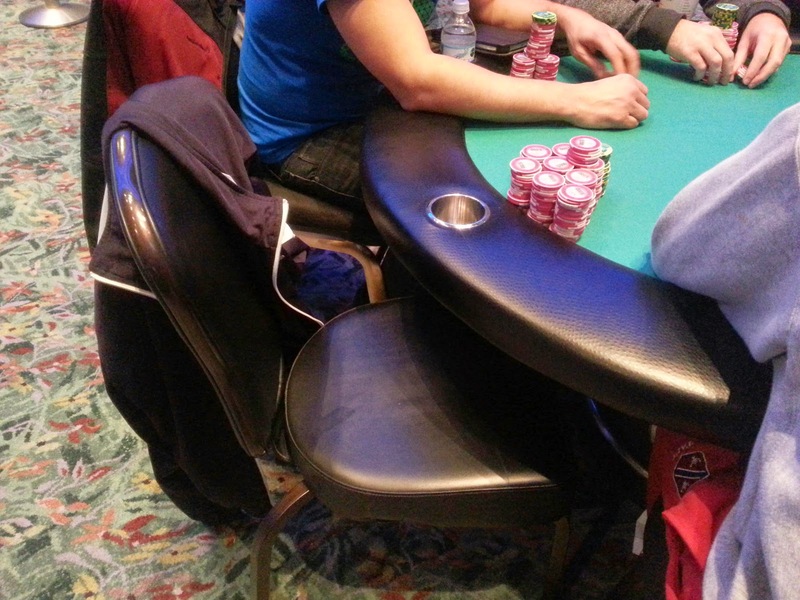 10 minutes into the level and Alex Cukar has failed to take his seat. His stack of 1.4 million will be blinded out until he returns. With the elimination of our 11th place finisher, the final table has been reached. The final 10 players are taking their seats and will resume play after a brief break. With the elimination of our 19th place finisher, the final 2 tables have been reached in Event #1 $600 NLH. The final 18 are currently redrawing for seats, and play will resume shortly. 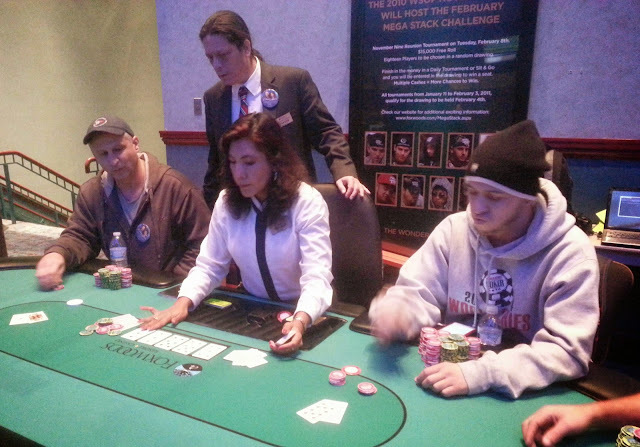 Two players are nearing a million chips as they battle for tournament chip leader. Each has a little over 900,000. On the river with a king high board, Raj Patel was all in with ace king but was unable to beat his opponent's pocket aces. 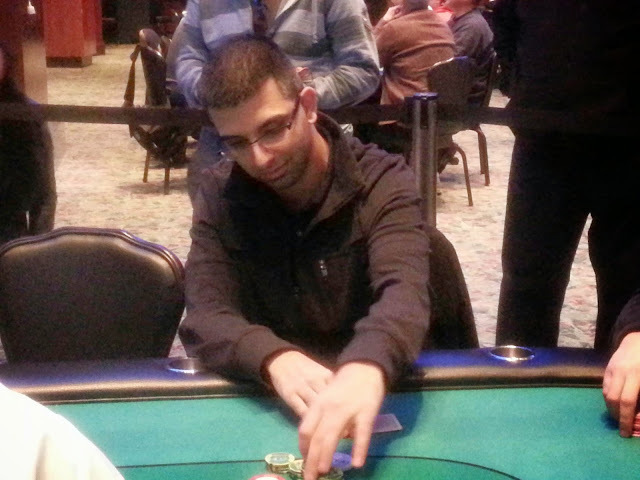 Raj's opponent had him slightly outchipped, so Raj will be eliminated in 34th place, good for $1,249. We are now down to 36 players in Event #1 $600 NLH. 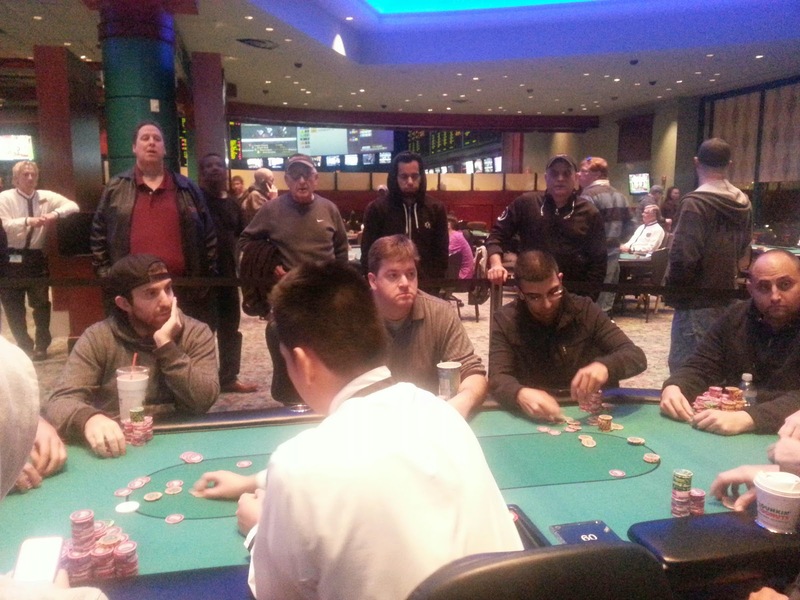 Raj Patel has joined the featured table holding approximately 215,000. 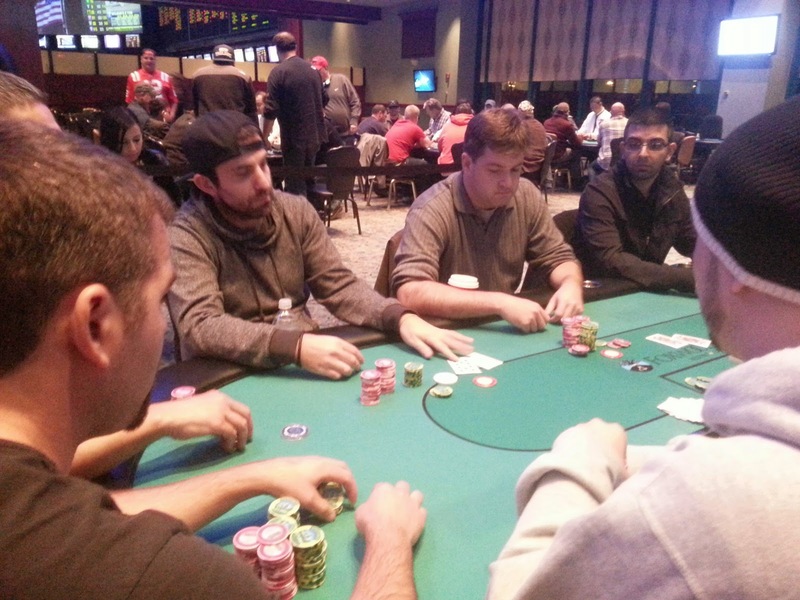 Mike Nye is still alive with just over 100,000, and Tarun G. has 380,000. 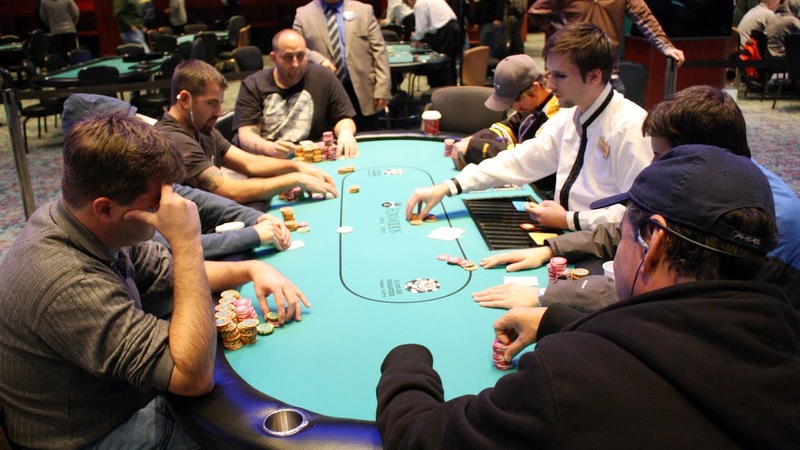 A player was eliminated from the featured table to put the remaining 45 players in the money. The field has been trimmed to the final 46 players, and play is now hand-for-hand. The next player to be eliminated will be the bubble boy, while the remaining 45 players will be guaranteed $1,249. The final 48 players have taken their seats, and cards are back in the air for Event #1 $600 NLH. Blinds are now 2,500/5,000 with a 500 ante. You can watch our feature table at www.FoxwoodsLive.com. Cards are in the air for Event #2 $230 NLH Bounty. 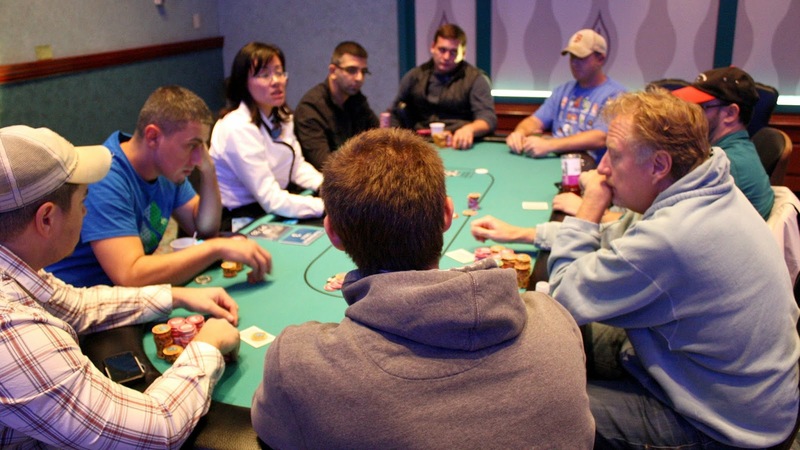 This tournament features a $20,000 Guarantee and 15,000 in starting chips. At 12pm, Event #1 $600 NLH will resume and play down to a winner. Make sure to watch on the live stream at www.FoxwoodsLive.com. At 1pm, Event #3 $230 Omaha Hi/Lo 8+ will begin. This tournament features a $10,000 Guarantee and 10,000 in starting chips. A card has been drawn, and it has been determined that the field will play 3 more hands before bagging up their chips for the night. The board now reads 50 players remaining. There are 20 minutes remaining in Level 17, which means Day 1 is almost complete. The board reads 54 players remaining, and the survivors from the end of the day will bag up their chips and return tomorrow at 12pm to play down to a winner. We will be live streaming all day tomorrow, so make sure you tune in.